INDUSTRY.co.id - Nokia is rumored to be back is preparing a new smartphone. The device is estimated Nokia 8 is rumored to be present with dual cameras and will soon slide on 31 July. The famous leakster twitter account Evan Blass shares the looks of Nokia 8 through VentureBeat's techno site. 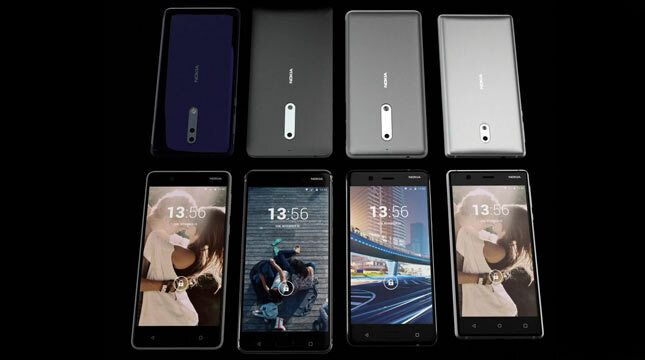 The shape of Nokia 8 is emblazoned in the rendering image, which features the front and back of the product. The look that looks from the front, the Nokia 8 has a curved edge display, and a large up and down bezel. Fingerprint mounted on the bottom of the screen, which also seems to be combined with the Home button function. But that is enough to make us more curious about the Nokia 8 is a camera feature it has. While viewed from the rear, Nokia 8 adopts dual cameras, back with optical technology from Carl Zeiss. Nokia had become the product hero for the smartphone camera through the Nokia Lumia 1020 series, which brought the camera with 41MP resolution. The leaked specifications that will be carried by the Nokia 8 include 5.3-inch screen resolution Quad-HD, SoC Snapdragon 835, and 4 to 6GB RAM. Furthermore, Nokia 8 is expected to be sold at a price of 589 euros, or about Rp9 million. When launched, Nokia 8 reportedly will be available in four colors Blue, Steel, Gold / Blue, and Gold / Copper. Unfortunately, until now none of Nokia's latest smartphone products officially launched in the country, including the Nokia 6 which some time ago quite anticipated presence in Indonesia.